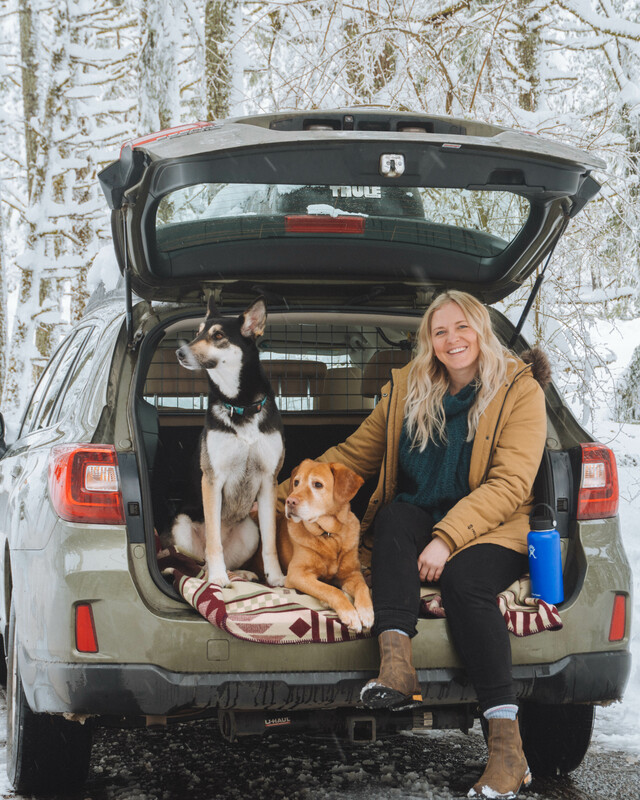 The temperatures are dropping and frosts are becoming a nightly occurrence, we hope you’ve been thinking about how to keep your furry family members safe and sound this winter. I know I have! I’ve already been breaking out Mylo and Lily’s winter jackets. 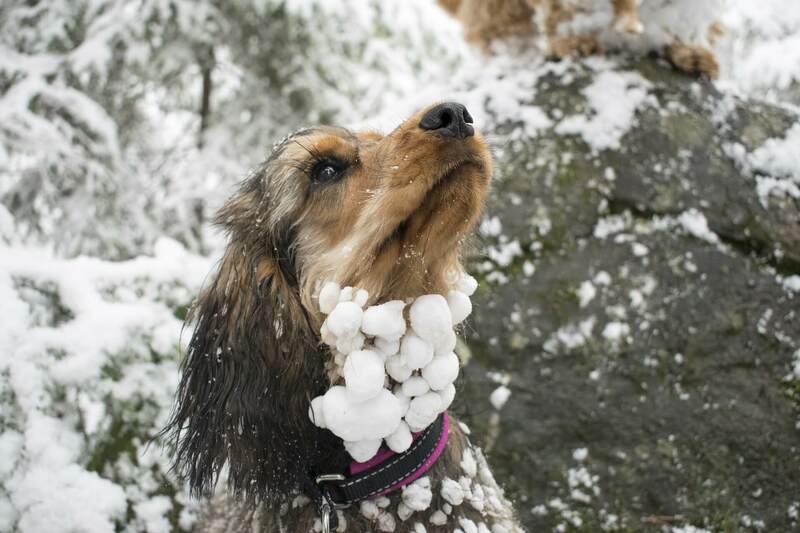 Are you savvy to these winter pet dangers? With daylight savings time in full effect, you’re probably walking your dog either in the twilight or in the dark. 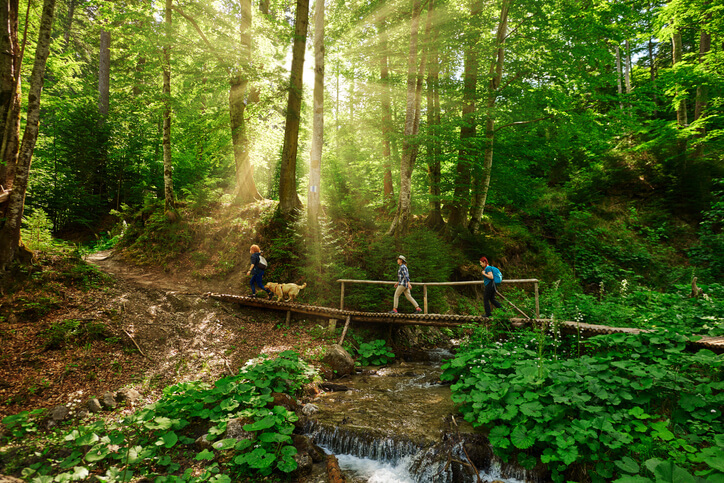 Ensure that motorists, cyclists and other pedestrians can see your dog by using a leash and collar combo with reflective properties or built-in lights. There are a wide variety of options available! Reflective fabrics on their (and your) coats are also a great idea. Better remove those snowballs ASAP, they could cause frostbite! It’s not just how high, or in this case low, the mercury rises on your thermometer when you’re thinking about frostbite there’s the wind and your pet’s physical contact with ice and snow. 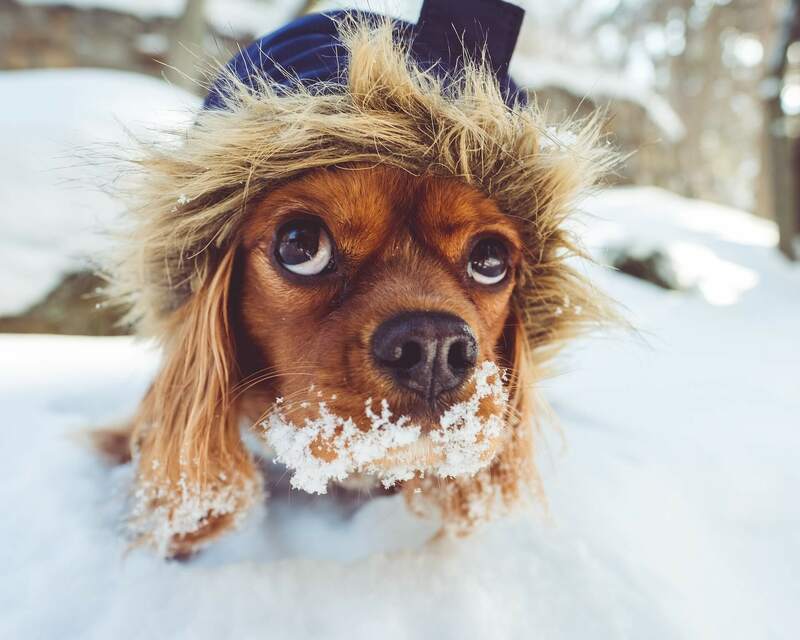 When you’re heading back into the house after a wintry outdoor adventure make sure you get all of the ice and snow off your pet. You’ll want to check your pet’s paws, ears and tails for frostbite, which usually presents as cold, hard, pale or grey skin that stays cold to the touch after being indoors for a while. 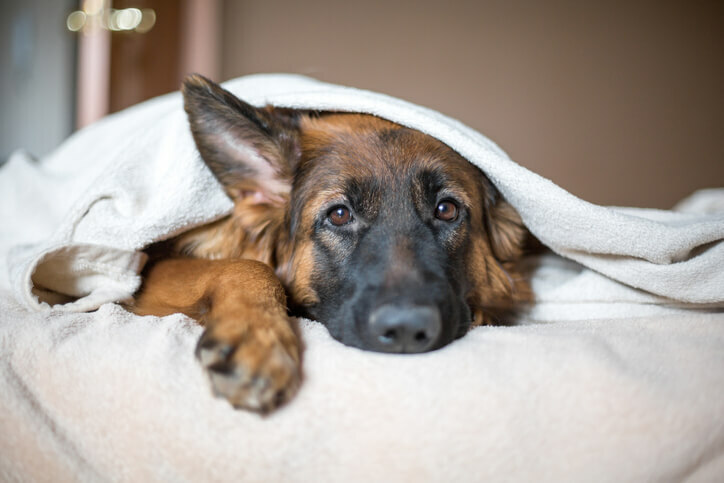 If you suspect frostbite cover your pet with a dry towel or non-electric blanket and contact your veterinarian. 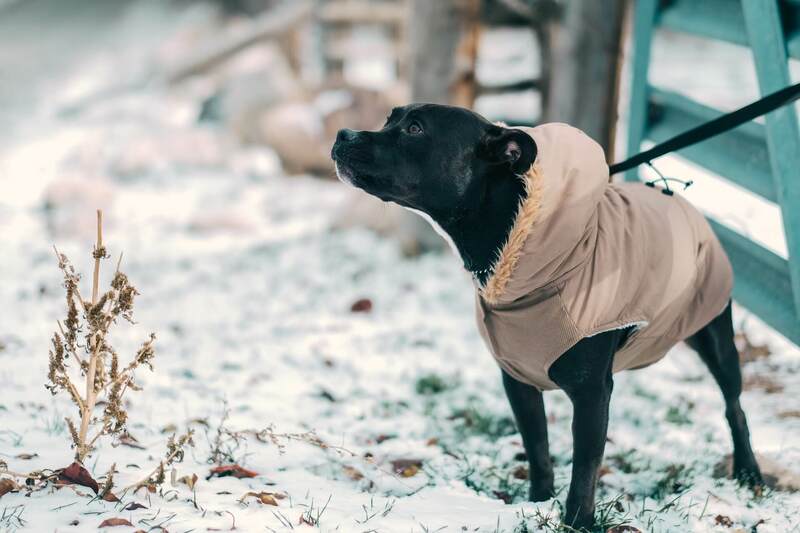 Caused by the cold, just like frostbite, hypothermia is an issue when temperatures dip and your pet will have to work harder to keep their core body temperature within its normal range which can have negative effects the colder it gets. Keeping them toasty with a sweater or jacket when outdoors is one way you can help prevent it. You’ll also want to make sure they get some extra calories if they spend a lot of time outside. 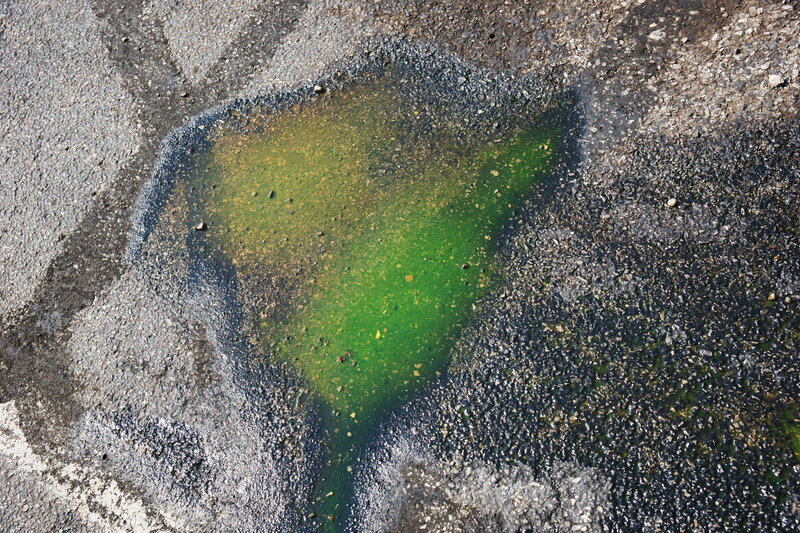 Antifreeze, automotive coolant, spilled on the pavement. Better get that cleaned up, kitty litter and sawdust are suggested! Some people think that antifreeze poisoning is no longer an issue since manufacturers started adding a bitterant to their products in 2012, but the Humane Society of the United States would say otherwise. Small amounts of antifreeze are enough to poison dogs and cats. In fact, it is one of the most common forms of poisoning in dogs. Make sure all spills are cleaned up immediately and thoroughly. You’ll want to contact your vet immediately if you think your pet has ingested any antifreeze as the longer you wait the more damage will be done. Whether you have a dog or a cat, most animals enjoy playing out in the snow. If you live in an area where you get heavy snowfalls one danger to be aware of is salt and other de-icers. They can irritate your pet’s skin and paw pads as well as being toxic if ingested. Many pet owners don’t realize just how toxic salt can be for their pets, click the link to find out more. In winter ponds, lakes and even rivers can ice over appearing to be solid ground to your pets. There is the danger that they could walk across, break through the ice and suffer from hypothermia or even die before they could be rescued. Remember to leave ice rescues to the trained professionals, if it goes wrong two will be in need of rescue instead of one. In stormy weather walk your dog on a lead! If you need to talk your dog out on a walk in poor weather, you should make sure to take them out on a leash. Winter storm conditions make it easier for your dog to get lost, and American Humane says that more dogs are lost during the winter than any other season. Let’s make sure yours isn’t one of them! Information given in this article is not a substitute for advice from a qualified medical professional. Please consult a veterinarian for advice specific to your dog.